Time to replace the sprocket and chain on my '99 duc 748. Looking for top tier, lightweight, long wearing components. Edumacate me. Big fan of DID chain and sprocket sets. 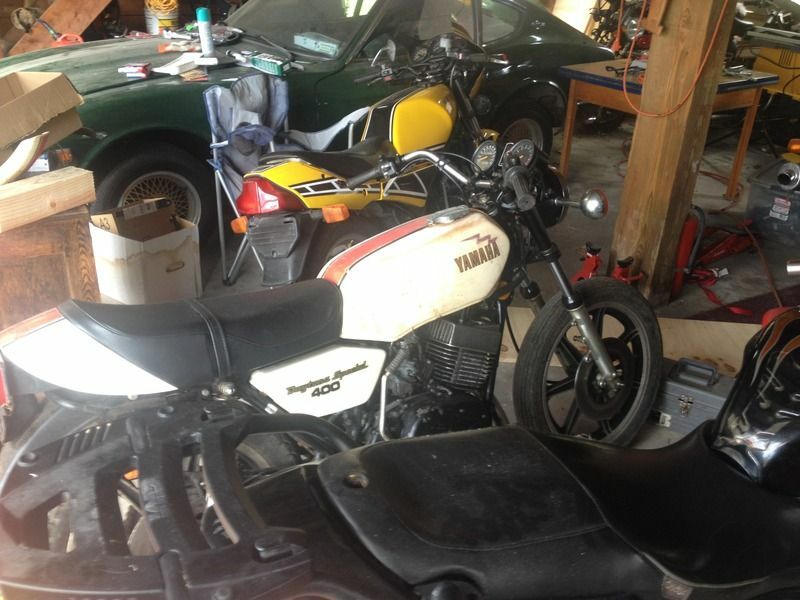 No issues on the 3 bikes I've put them on. Got 40k out of one set before it was out of spec per the manual. I'm sure it was still ok to ride on for a bit, but I'm pedantic about regular maintenance on the bikes. I believe they have aluminum sprocket options. I avoid them personally because I have read that their teeth wear much faster than steel sprockets but ymmv. more of a Shimano/ Sram guy these days. 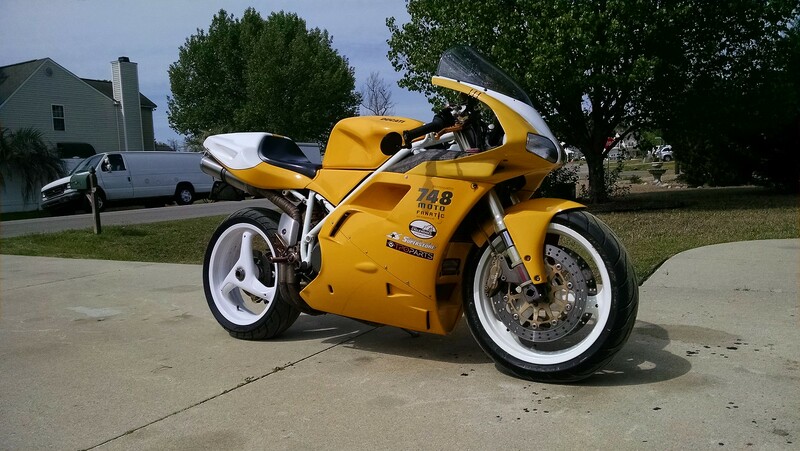 I used DID on my 1098s. God i miss her. Supersprox used to have a lifetime warranty. You may want to check them out. They have different colors and designs that may work with your wheels. X ring are good chains. I'm a retro guy with my Paul Smart so Regina for that (sponsor on the 1972 Imola bike). Rk gold. All steel sprockets. I sell gear and parts and everyone has been the happiest with the RK but DID is good too. Main thing is keeping it cleaned and lubed. I replaced my factory original chain/sprockets at around 40k miles with an RK Gold chain and sprocket kit and have put about 5k miles on it so far. I've been liking it. However, the original drive sprocket on the bike had a hard rubber center, whereas all the aftermarket drive sprockets seem to be entirely metal. I think that rubber center is a noise dampener, because installing that all metal RK drive sprocket made my bike noisier. It added a droning hum when accelerating and cruising at highway speed that drove me crazy at first, but has subsided some with miles. I've got a Renthal/EK combo on my street R1. I've got a Sprocket Specialist/RK combo on my race R1. I've got a SuperSprox/DID combo on my supermoto. I've got a Renthal/Renthal on my dirt bike. Afam makes a quick change rear carrier for your bike that is pretty cool. The carrier and sprocket is def lighter than stock. 40k miles on a chain and sprockets just blows my mind with its 1970's perspective of 4000 mile sets - maybe 4000. 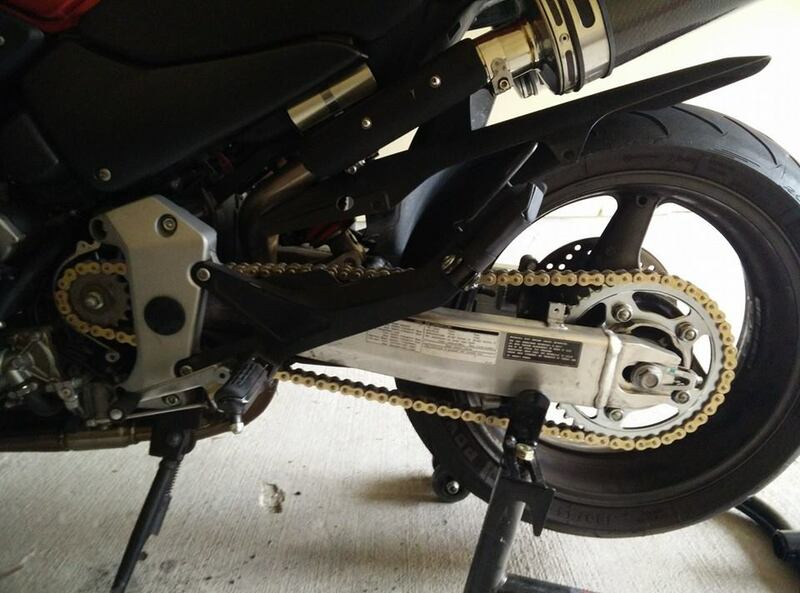 The chain and sprockets have been replaced a few times. 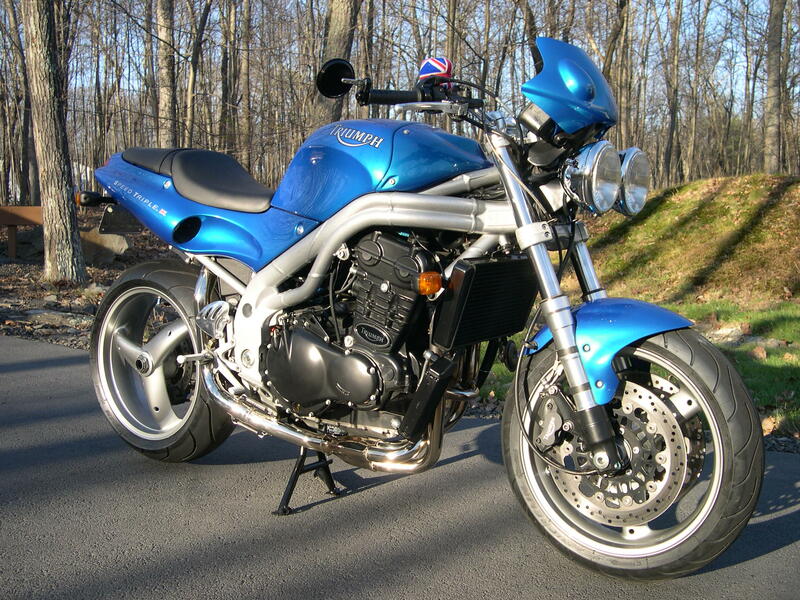 Sport-tourer here - main ride is a Ducati ST2. 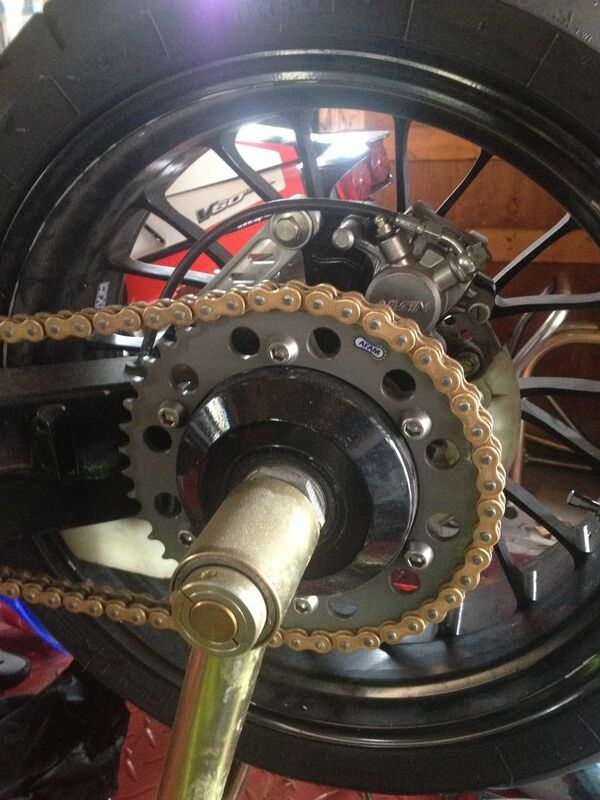 Currently running a plain JT front sprocket, Superlite steel rear sprocket, and EK chain. Think I'm going with this kit. Light and long wearing don't so much go together. There really aren't many terrible chain options so long as you stick to Renthal,AFAM,DID,RK,Tsubaki etc and away from $50 ebay Chinese specials. SuperSprox and RK. Anything else is junk.